What is the value of mapping the patient’s journey? An experience map is a tool that enables the identification and presenting key insights into patients interactions across the various services and touch points. 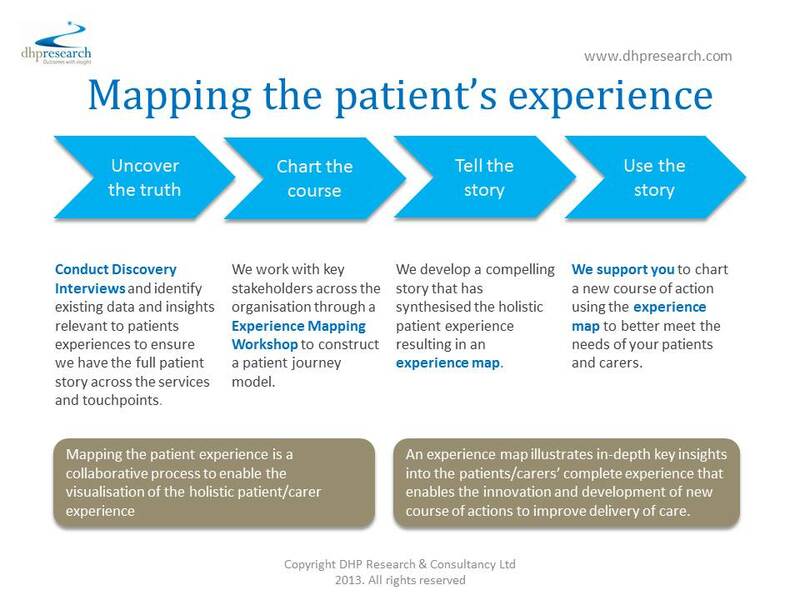 At the heart of the experience map is the patient’s journey which is created from an aggregation of all patients experiences along the care pathway. The activity of mapping results in building a knowledge base and consensus across teams and stakeholders enabling you to create and support better patient and carer experiences.